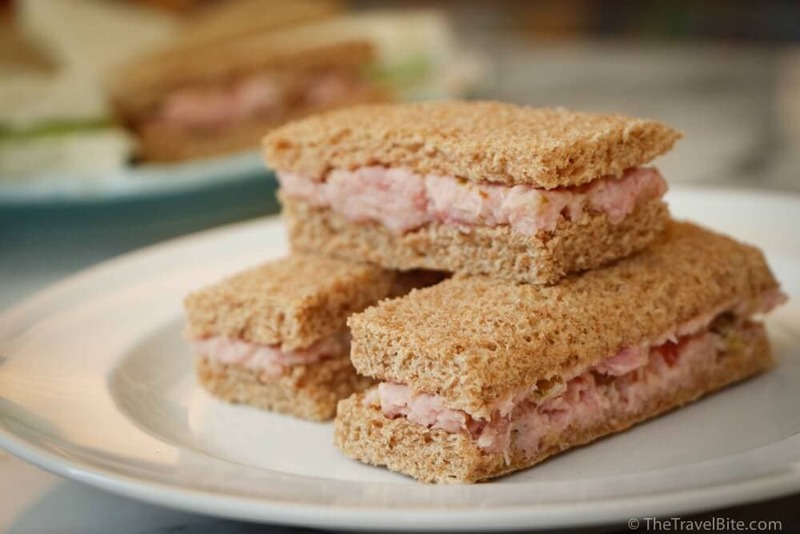 This recipe for ham salad sandwiches is perfect for a picnic in the park or afternoon tea and they’re quite easy to make. There’s only three simple ingredients including mayonnaise, sweet pickled relish, and ham slices (similar to canadian bacon). If you have any ham left over from dinner or a big holiday meal, these ham salad sandwiches are the perfect way to use up your left overs. For tea sandwiches, similar to the cucumber tea sandwiches I previously posted about, look for a loaf of bread that is relatively square in shape and thinly sliced. 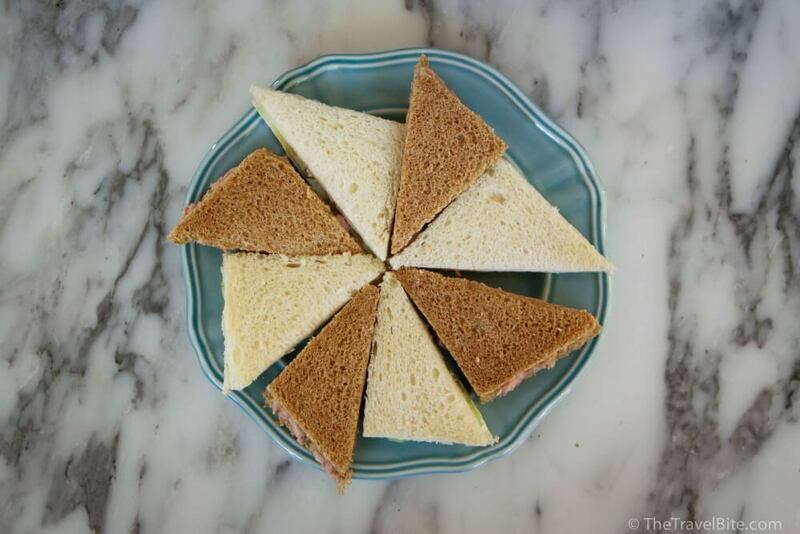 This make it easy to cut of the crusts and still have a uniformly square sandwich shape. Once the sandwiches are put together, you can cut them in half diagonally or vertically to make them into smaller tea sandwiches. 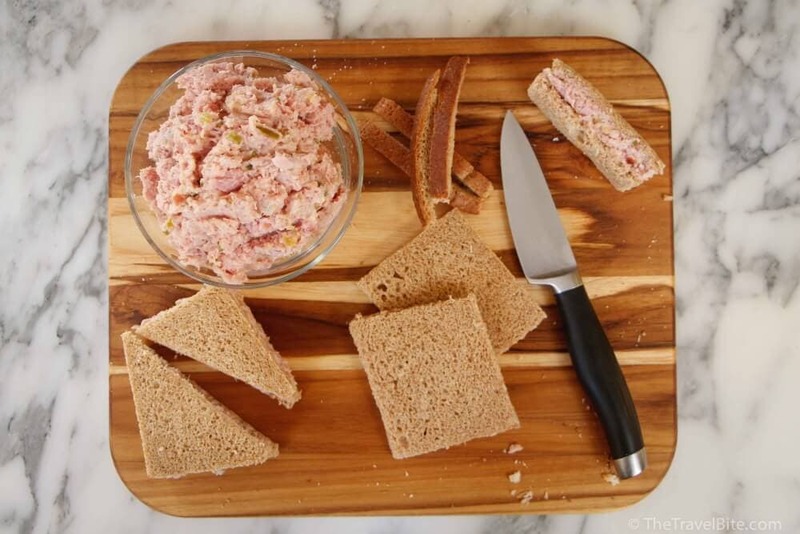 See the ham salad sandwiches recipe below for complete instructions. 1 loaf whole wheat sandwich bread, sliced thin. Add ham to a food processor or blender and pulse until it becomes well ground. Next, add the relish and mayonnaise and pulse until well blended. Spread on sliced sandwich bread, cut in half, and serve.